Personally, I prefer complementary pieces rather than “loaded up” (two offensive-minded players or two defensive-minded players) pairings. Thus, only one of these options looks great and that’s Option C.
Theodore and Engelland proved they work well together as Engelland is everything Theodore is not and Theodore is everything Engelland is not. McNabb works better with a player who can skate well and who is willing to take a risk, that would be Miller. Finally, Hunt and Holden would likely pair well together in games in which the Golden Knights want a bit more offense and Merrill and Holden when they expect a lower scoring game. 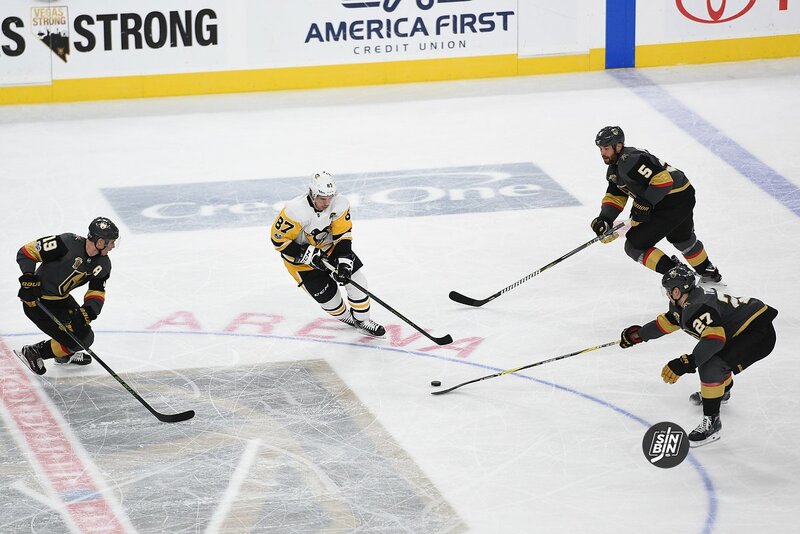 It appears the Golden Knights have the defensive depth to deal with the loss of Schmidt. With Merrill and Hunt both capable defensemen, they might even be able to survive a short stretch of missing Theodore (or someone else) as well. But when that inevitable injury comes, this roster might come up short as currently constructed. It’s only 20 games though, and it’s a number that can be counted on, unlike when players are missing with long-term injuries. Thus, don’t expect McPhee to panic and make a move to offset the loss of Schmidt until late November. That being said, if a move was already in the plans, this certainly won’t stop it from happening, and maybe even sooner than was originally scheduled. Can Shippy play defense? He might want to come back to the quiet village of Las Vegas…….